Scarlett Johansson and French journalist Romain Dauriac were married for more than a month before the rest of the world caught on. According to Gossip Cop, the couple set off for Philipsburg, Montana, to tie the knot in secret on October 1. Here are more celebrity couples who kept their weddings quiet until they felt like sharing. Jeremy Renner is so concerned about privacy that he kept his marriage to model Sonni Pacheco a complete secret before deciding to spill the beans to Capitol File magazine. "Privacy issues are important because I want her to go about her day without being bothered," Renner explained. His rep declined to share additional details about the couple, who welcomed daughter Ava in March 2013. When "High School Musical" star Ashley Tisdale married musician Christopher French on September 8, she reportedly had a plan in place to keep the ceremony private. According to E!, the couple had guests arrive at a different location before shuttling them over to the wedding's private venue. 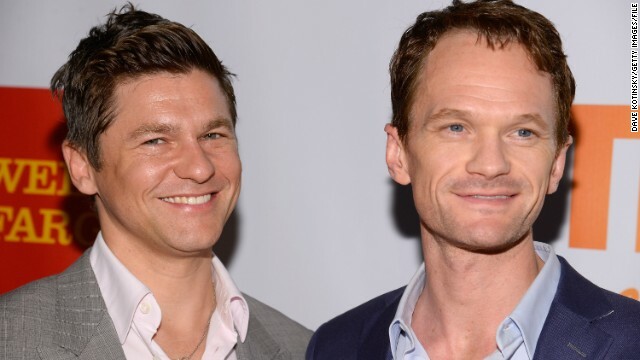 After a 10-year relationship and two kids together, David Burtka and Neil Patrick Harris finally tied the knot in Italy the weekend of September 5 without a peep of advance notice. The same weekend that Harris and Burtka married, TV star Fran Drescher was quietly marrying Shiva Ayyadurai at their home. Drescher met Ayyadurai, who developed an email program when he was a teenager, just over a year ago. She shared the surprise marital update on Twitter on September 7. Despite being one of the most closely watched couples in the world, Brad Pitt and Angelina Jolie managed to get married in complete privacy. Their French wedding on August 23 was so secretive, it took five days for the rest of the world to hear about it. Beyonce and Jay Z are professionals in every sense of the word, especially when it comes to keeping their private life hidden. The couple dated for six years before secretly marrying in New York on April 4, 2008. 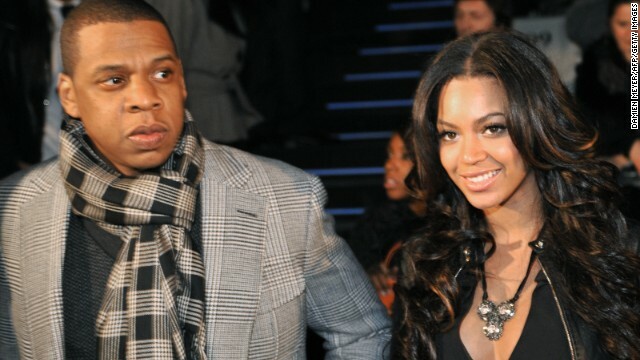 They were so insistent on keeping it just between them that Jay Z pretended not to know what a reporter was talking about three days after tying the knot. Good luck guessing what Natalie Portman is going to do next. The star isn't known for sharing much about her private life, but when she does she drops some doozies. In December 2010, the actress caught fans off guard with her out-of-the-blue engagement to French dancer Benjamin Millepied, which was announced at the same time as her first pregnancy. Portman keeps her personal life so hush-hush that onlookers thought she and Millepied had wed months before they actually tied the knot in August 2012. 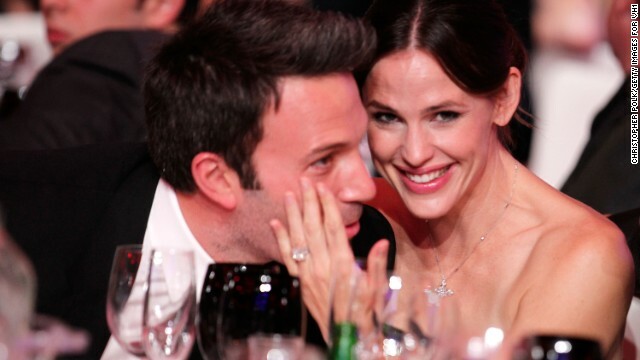 Ben Affleck and Jennifer Garner declined to officially announce their engagement in April 2005, and they were just as elusive with their secret island wedding that June. Janet Jackson just isn't one to marry and tell. The pop superstar wed Rene Elizondo, Jr. in 1991, but no one knew about it until Elizondo filed for divorce around 2000. Jackson's so good at keeping secrets that she pulled off another hush-hush wedding in 2012, when she married Wissam Al Mana in a "quiet, private, and beautiful ceremony." Cutting down on the number of attendees is one way to keep your matrimony on the DL. In 2006, Sacha Baron Cohen and Isla Fisher swapped vows in Paris in front of just six wedding guests. 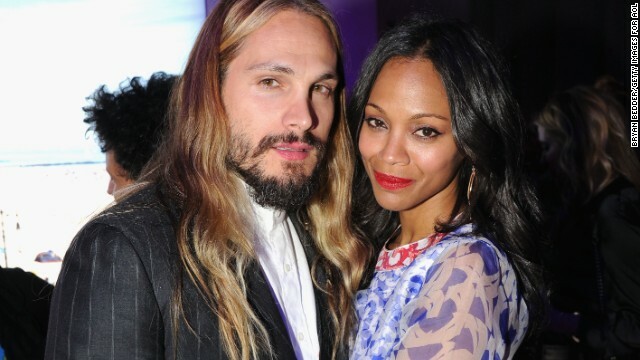 Zoe Saldana appears to be the type who'd rather show than tell. The actress and her artist husband, Marco Perego, were spotted wearing gold wedding bands in September 2013, which led to confirmation that the couple had actually married earlier that summer in front of a small gathering of family and friends. And with the couple now expecting their first child, Saldana stayed quiet until she confirmed her pregnancy by getting her husband to take the ALS bucket challenge for her. Like Saldana, Kerry Washington has been extremely reluctant to talk about her husband or her baby. 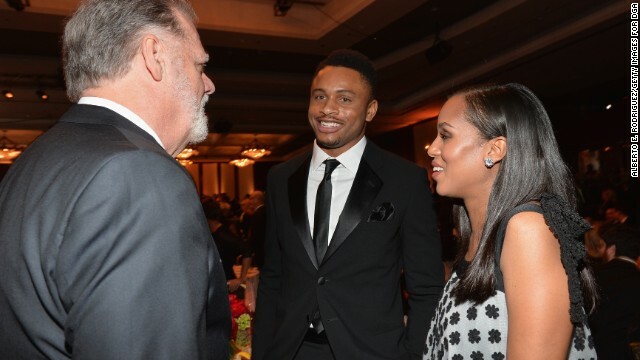 There were multiple reports that the "Scandal" actress had wed football player Nnamdi Asomugha in June 2013 in Idaho, but the actress refused to say whether it happened or not. She played it similarly close to the vest when she became very evidently pregnant toward the end of 2013. In 2012, we knew that Ryan Reynolds was romantically linked to "Gossip Girl" actress Blake Lively, but no one saw their Southern wedding coming. That August, Lively and Reynolds secretly said "I do" in South Carolina. Even though the wedding had Florence Welch of Florence and the Machine performing, somehow the couple managed to keep the ceremony so under wraps, we still don't know what the bride wore. The courtship of "Skyfall" star Daniel Craig and actress Rachel Weisz is a little hazy. As far as the public knows, the former "Dream House" co-stars became romantically involved following Weisz's breakup with director Darren Aronofsky in November 2010. But before anyone could get a good sense of the newest Bond's new dating life, the couple quietly married in upstate New York in June 2011. When Anne Hathaway wanted to create a low-key wedding, she made like Natalie Portman and headed for Big Sur in California. The Oscar winner didn't fully escape all eyes as she wed Adam Shulman in September 2012 -- paparazzi caught the bride in her custom Valentino dress -- but at least the walkup to her private affair wasn't publicized. When Britney Spears wants to get married, she doesn't hesitate. The singer first had a quickie wedding to childhood friend Jason Alexander in Las Vegas in January 2004. Then, after getting that 55-hour marriage annulled, she held a second surprise wedding in September 2004 to backup dancer Kevin Federline. Her secret there was the switcheroo: The ceremony was held a month prior to the date that was publicized. In 2011, LeAnn Rimes played a Britney Spears card and tricked the media. 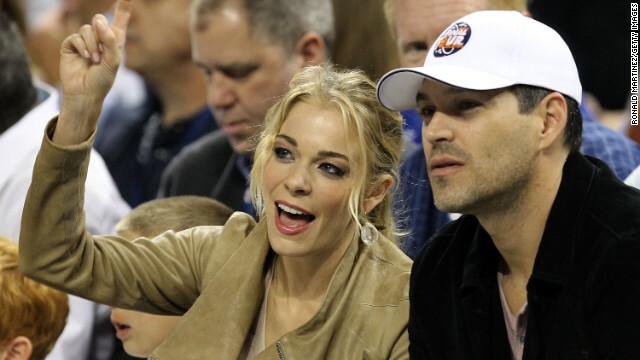 While friends and family thought they were attending an engagement party for Rimes and actor Eddie Cibrian that April, they were actually attending their wedding. 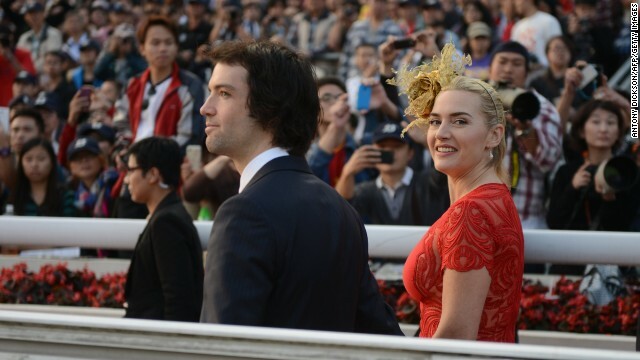 It's hard to be inconspicuous when your husband-to-be's last name is Rocknroll, but Kate Winslet managed it anyway. After quietly getting engaged in the summer of 2012, Winslet and Ned Rocknroll had a super-private wedding in New York in early December -- and the rest of the world was none the wiser until the end of the month. Like Brangelina, Dax Shepard and Kristen Bell declined to get married until their gay friends could legally wed, too. But once that was accomplished, Shepard and Bell didn't make a big deal out of their ceremony. In October 2013, they went over to the Beverly Hills County Clerk's Office and had a "no-frills" ceremony that Shepard later said set them back just $142. Former Destiny's Child star Kelly Rowland is just as secretive as her friend Beyonce. The singer kept her engagement to her manager, Tim Witherspoon, to herself for months before revealing the news in December 2013, and was just as private when it came to their wedding in Costa Rica that May. The couple is now expecting their first child. The world knew that Halle Berry was planning to marry French actor Olivier Martinez as of March 2012 -- when Martinez himself let the news slip -- but Berry didn't talk about it until weeks later. The couple's moves toward the altar were closely tracked, which meant that even though they didn't talk about it, we still knew they were tying the knot in a private affair in France in July 2013. At first, Kelly Clarkson tried to trick us into believing that she and Brandon Blackstock wouldn't have a wedding, and instead would just elope. But in October 2013, she shared photos of herself and her new husband getting hitched at Blackberry Farms in Tennessee. Jessica Alba and Cash Warren were so intent on keeping their marriage private that they did away with wedding guests altogether. The only other person present at the couple's uber-private ceremony at a Beverly Hills courthouse in May 2008 was the official who married them. 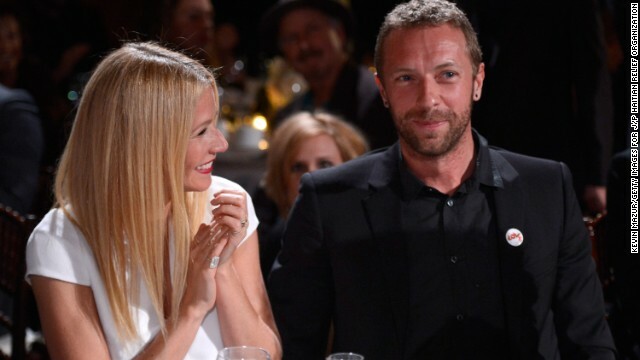 In December 2003, Gwyneth Paltrow and Chris Martin happily shared their baby news, but tried to keep their status as newlyweds a secret. It didn't quite work. While fans were anticipating the arrival of Paltrow and Martin's first child, the press sniffed out the news that the couple had gotten married in a surprise, secret ceremony two days after announcing they were expecting. (CNN) -- "High School Musical" star Ashley Tisdale is now Mrs. Christopher French. The 29-year-old actress married French, the lead singer of the band Annie Automatic, on Monday. According to E!, Tisdale and French followed in the footsteps of stars like Brad Pitt, Angelina Jolie and Neil Patrick Harris and kept their ceremony relatively private. The reported 100 guests in attendance are said to have been shuttled to the wedding's private venue from a different location in an attempt to keep the nuptials under wraps. Once the vows were exchanged, Tisdale had no problem sharing the news with the world. "Best day of my life!" Tisdale posted to Instagram, along with one of her wedding photos. "Introducing Mr and Mrs French Sept 8, 2014 Shot by @corbingurkin." With another "High School Musical" actress, Vanessa Hudgens, part of the bridal party, the wedding was like a mini cast reunion. One person missing? Zac Efron. While the actor couldn't make it, he did send the newlyweds a note of congratulations. Tisdale's apparently been inundated with warm regards. "Thanks for all your well wishes," Tisdale tweeted Wednesday. "I'm feeling so grateful and blessed. So honored and proud to be Mrs French :) love you all #myhusbandishot."